> Fototapety>Beautiful model brunette with long curled hair. 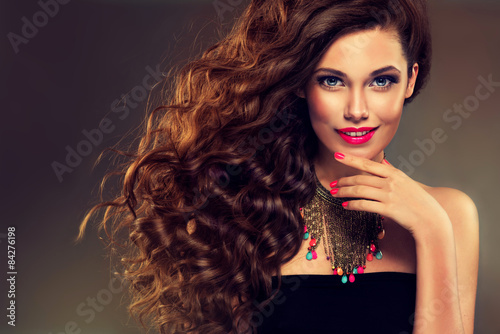 Fototapeta na wymiar Beautiful model brunette with long curled hair. Transakcja solidna i szybka. Polecam.